While we endevour to source healthy puppies from healthy parents, congenital (non-inherited) and genetic (inherited) conditions can occur, even when parents can be tested for specific conditions known to occur in a breed. Please click the link below to access breed specific information so that you can be informed of possible inherited diseases your pup’s breed or breeds may be predisposed to. Though our pups are all vet-checked to be healthy at sale this is no guarantee that a disorder does not develop later in life and we make no specific warranty in this regard and purchasers accept the risks that a disorder may develop beyond our control. Please search prior to purchase for potential disease risks! 1. We are looked after by a group of dedicated breeders who produce top quality pups and we pay a premium to get first choice of the litter. 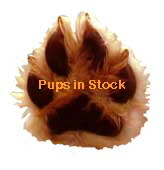 The breeds of pups we stock are usually in high demand meaning they are at the top end of the price bracket. We are often asked “why are pups so much if not a purebreed?” Well we prefer to refer them as a hybrid between 2 or more purebreeds. This requires the breeder to maintain 2 or more lines of purebred dogs to produce these hybrids which can involve more work than having just one breed. 2. We are a dedicated puppy store, not a pet food and merchandise store that keeps a few pups out the back. This means the income that allows us to function is mainly from pups, not from selling pallet loads of merchandise. We have dedicated, highly skilled staff (many are university trained or vet nurses) and we provide state-of the-art facilities for the care of puppies in the short time with us. 3. We provide a 14 day veterinary health guarantee. Not a zero-day guarantee if you buy online or a 7-day guarantee from other petshops. This means if you puppy has an illness (not an injury or accident) we will cover your puppy for ALL veterinary costs, provided you attend a Total Vet Care hospital, for a full 2 weeks after purchase. We do ask, though, that you present your puppy for a post purchase check within 72 hours of purchase to validate this cover at a nominal fee. As you are probably aware, a puppy requiring hospitalisation and treatment for an illness can cost thousands of dollars, so it is reassuring to know you wont have an unexpected vet bill after purchasing your puppy. If your puppy has an illness in this 2 week period and if this problem doesn’t fully settle within this 2 week period of cover your veterinary cover may extend beyond this period till the problem is resolved.